This is a 16 x 20 inch oil painting. The first of the five paintings I intended to do in five weeks as part of a 5 x 5 Project. This entry was posted on June 2, 2012 by dilleenmarshwomanartistrenaissance. 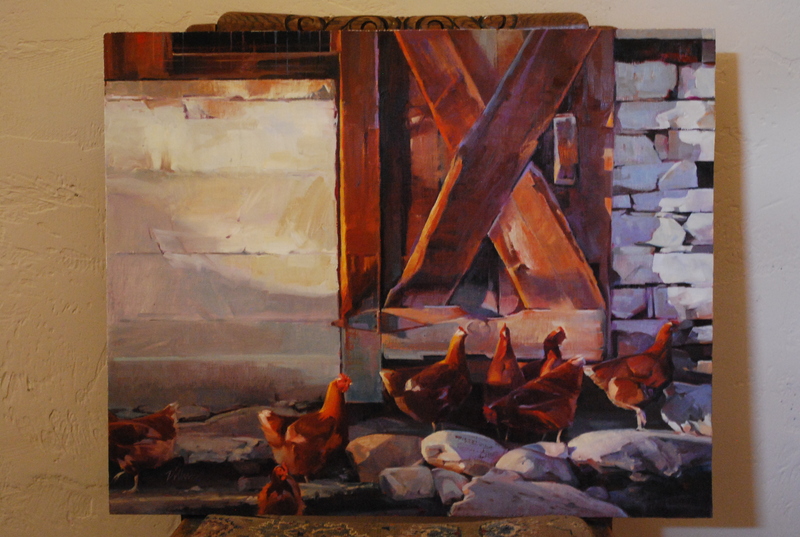 It was filed under Uncategorized and was tagged with barnyard, chickens, design, late afternoon light, oil painting, studio.